Wood and tile installation is done anytime after painting is complete and preferably after cabinets are installed. 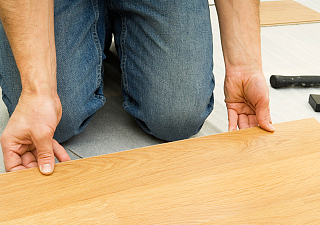 Installing cabinets first will minimize chances of damage to the floor and minimize waste of wood or tile. Carpet installation can be done later and should be one of the last things you do. Flooring will give you a lot of options. 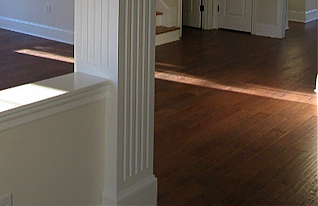 You may purchase your own materials and hire independent installers for wood, tile, and carpet. You may purchase you own materials and do some or all of the installation yourself. Or you may contract with a one-stop flooring company. 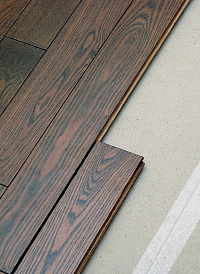 Look for a showroom with multiple choices in all types of flooring materials. They can provide all materials and installation labor for one contract price. The one-stop approach is what I recommend. More on that subject to follow.